The beauty insider’s secret, IT Cosmetics was created by a former news presenter who was on the hunt for make up that would stand up to unforgiving HD cameras – and IT’s brushes have since become renowned and celebrity-endorsed for their impressive design and finish. 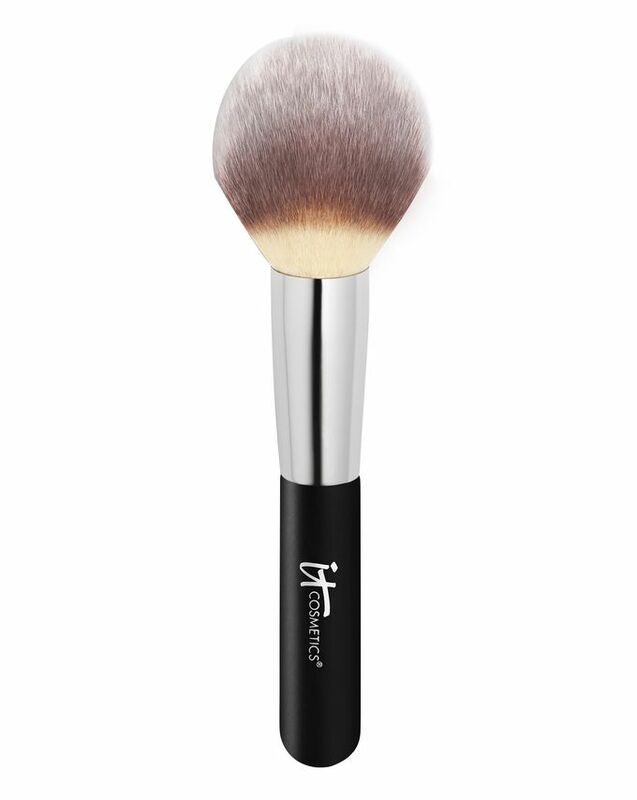 This beautiful dense and round Ball Powder Brush is perfect for sweeping your go-to finishing powder across your visage and creating a gorgeous airbrush finish. This luxuriously soft, rounded and hand-cut, tapered brush picks up and applies the perfect amount of powder for a beautiful, airbrushes finish with even distribution for a flawless complexion that you’ll adore every single time. Starring IT Cosmetics adored and award-winning Heavenly Luxe synthetic bristles, this plush brush will deliver a poreless and optical-blurring effects. Simply swirl this brush in your favourite setting powder (or even a bronzer for a sun-kissed flush) and sweep across your face for a flawless finish. Dust your favourite loose and pressed powders all over your face and décolleté using gentle, sweeping motions for natural-looking, flawless results. If you're yet to try any of the IT Cosmetics brushes, I think this powder brush is a great starting brush. The large domed 'ball' design buffs powder into the skin effortlessly and really helps to add coverage when using powder foundations. The tip of the brush is slightly tapered too, so it fits into the corners of the eyes and nose really well.